In this seventh installment of the UXify 2017 conference blog series, sponsored by Infragistics, Jason Caws, UX Architect at Infragistics, described the impact of the data we produce and consume in our daily lives, the role a user-centered design process plays in identifying meaningful information, and the challenges of utilizing data of the future. So what does it mean to summarize infinity? When we have access to everything, deciding what we truly need can be a challenge. The overwhelming amount of content and data that is made available today may seem beneficial on the surface, but it can easily turn into a distraction. Users of both business software and consumer applications can fall victim to data overload, and as designers of digital experiences, it is our responsibility to eliminate the background noise and present users with information that enables them to succeed. 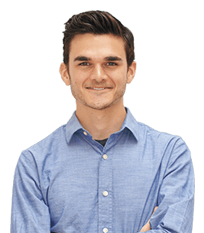 Jason has been working in the field of User Experience for over 4 years, applying design research tools and concepts to user needs across a wide range of industries. As a UX Architect he has played key roles in the delivery of innovative solutions for both internal projects and external clients. His background in psychology and user-focused design skills enable him to effectively communicate ideas, tackle creative challenges, and think from a user’s perspective. If you thought this talk was good, why not take a look the previous installment of the UXify 2017 blog series or even the entire UXify conference recap?